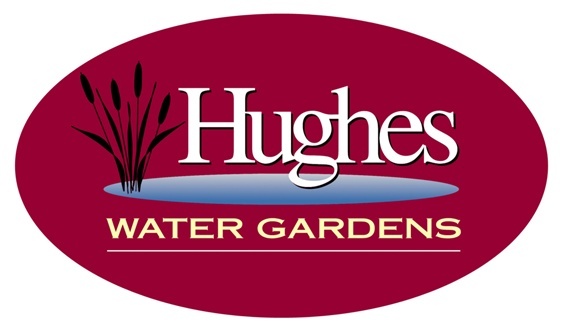 Eamonn Hughes welcomes you to the Portfolios of the Designs and Installations of Hughes Water Gardens. Please come by our nursery and enjoy the tranquility of our gardens while you peruse our store and learn how you can build your own Zen garden at home. Click on photo to view a selection of waterfalls and streams we have designed and constructed. Click on photo to view a selection of ponds we have designed and constructed. Click on photo to view a selection of water features and gardens we have designed and constructed. Click on photo to go to our garden center site. Click on photo to view videos of some of our features. PLEASE GO TO THE CONTACT US SECTION ON THE LEFT SIDE OF THIS HOME PAGE AND USE THE E-MAIL FORM WITH QUESTIONS AS I DO NOT GET ACCESS TO YOUR E-MAIL ADDRESS TO REPLY TO YOU IF YOU ASK YOUR QUESTION IN THE COMMENT SECTION OF A PAGE. Designing a new home w/ Allied Works Arch. & are planning a pond in the entryway, & a redesign of a 12' waterfall outside. Please contact me. I need to hire someone for seasonal cleaning and maintenance of my pond in Troutdale. Do you do this? Yes we do, so please call the nursery at 503 638 1709 and leave a message with your contact information for Fili. He will arrange it for you. How to convert an existing swimming pool into a water garden? I would like to visit your property this spring. Please send me an email reminder when you think it would be a good time. I had a new koi pond filter installed by Hugh's Water Gardens. The installers were on time and professional. Everything was complete and cleaned up very nicely. My husband and I have been building ponds for thirty years. We were "small-time" compared to these magnificent pieces of art work. Thanks for sharing!! !